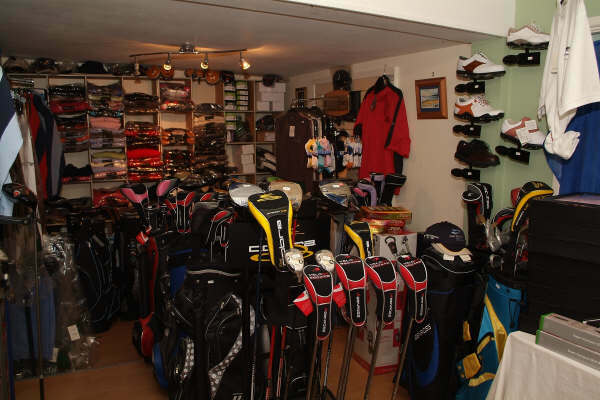 Truro Golf Club boasts a unique shopping experience with both mens and ladies goods available. Truro Golf Club boasts a unique shopping experience with both mens and ladies good available. We specialise in all the main golf brands. For the golfer who really wants to get the most out of their game, we offer a complete custom fitting service on a wide range of the best equipment. We use a launch angle monitor and strike boards to optimise your swing speeds, launch angles, spin rates and lie options. This means you can be confident your clubs are completely perfect for you. Whether or not you live in Cornwall or are on holiday, our experts will be happy to help you find the ideal golf equipment and accessories. The general public are warmly welcomed. The golf shops are open 7 days a week and there is extensive free parking.